While we usually look towards developments in the digital games sector as coming from the console scene – we have to be watchful of a poorly reported, but highly influential aspect of the digital entertainment scene that also has its part to play. The instigator of much of the game genres we know and love, the video amusement and arcade scene is far from a nostalgic dinosaur but is still a vibrant and innovative industry, still with some surprises up its sleeve! This feature focuses on the video amusement and gaming scene, but it has to be remembered that the amusement (coin-operated) sector had existed from the 1800's, quite profitably, though the bagatelle, electromechanical and pinball revolutions – a number of those early electromechanical games flirted with the concept of co-operative play, but implementation was limited. Following the phenomenal popularity of ‘PONG’, by North America’s Atari, and the successful application of video amusement, momentum grew to encourage more of the hungry masses crowding around the cabinets into the game (and so get hold of their coins!) 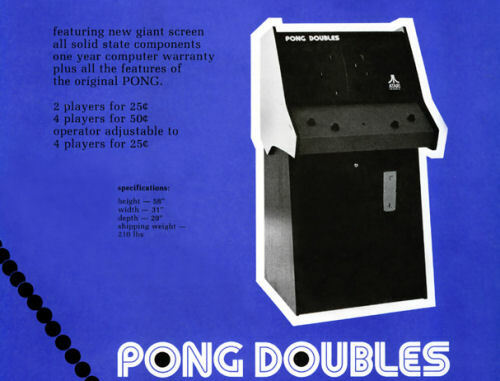 Striking gold again, Atari released ‘PONG Doubles’ (1973) – the first 4-player video game, with two players working together to win their game – co-op arcade gaming was born! 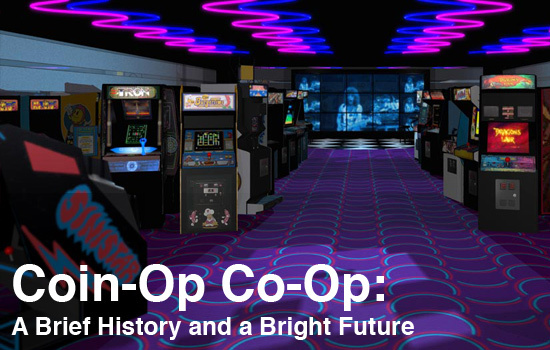 Though competitive multi-player games proved a profitable path for the early Atari, and the immerging video amusement sector – investment into co-op game seemed more an accident. Titles like the full color ‘Tank 8’ (1976) – one of the first games with a microprocessor, offered 8-players a chance to compete in top-down tank combat. But a nuance of the game had players protecting friends and ganging up against others, taking the concept far beyond the rudimentary blaster envisaged. Playing games differently to how they were intended has been a constant aspect of the video game scene – while developers expected games to play one way, when dropped into the field and the method of play changed – an example is the 2-player ‘Atari Football’ (1978) -- that would see crowds of supporters on each side cheering on the action and taking part in directing the plays. But it was with Atari’s ‘Fire Truck’ (1978) – called “a completely new video concept” that the developers embraced the creation of ‘cooperative’ play; 2-players taking the controls of a hock and ladder fire engine – one seated steering the cab, while the other, standing behind, steered the trailer, avoiding twisting roads and other vehicles, while rushing to the fire. It was with this game that intentional cooperative gaming was born and grew as a genre. 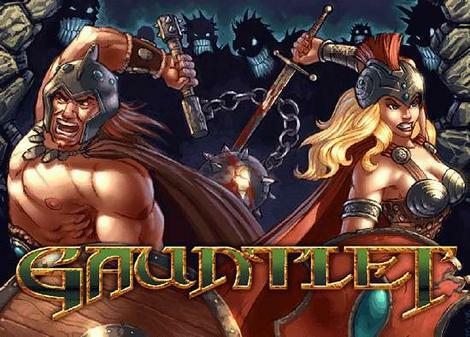 It would not be until the Eighties that Atari would take another big bit out of the cooperative play genre in creating the masterpiece ‘Gauntlet’ (1985) the video game representation of the Dungeons & Dragons narrative; the role-playing board-game franchise comprising the fundamental element of cooperation between a team. The video offered 4-players the chance to work as a team and defend and support each other – playing as a team offered the players the best chance for survival, the sharing of health and cooperative attack marked this game as legendary – the aspects of encouraging social gaming activities an element of the play once closely studied by designers. Sadly, Atari would not maximize on the new genre they had created – Gauntlet would not be followed by other new fully fledged co-op titles – only occasional glimpses of the past originality, with games like ‘Escape from the Planet of the Robot Monsters’ (1989). Atari was followed by other American amusement factories into co-op, such as Bally-Midway, who created their own 3-player co-op title ‘Xenophobe’ (1987) - though not a major seller. Another American developer was Coreland – who made the innovative 2-player co-op fighting vehicle game ‘CyberTank’ (1987), a game way ahead of its time. Page created in 0.8081 seconds.